So you have decided to take control of your health and have plucked up the courage to try acupuncture. Preparing for the first acupuncture session can be really just as easy as following the following eight steps. Try to avoid rushing to and from treatment. Rushing puts your heart rate up and can leave you feeling flustered. Acupuncture in itself is calming but ideally you should go into a treatment feeling relaxed in order to make the most of it. Work out how you are going to get to the clinic, how long it is likely to take you and where you are going to park. You start on the back foot if you rush in late worrying about where you’ve left the car. It’s not always easy when you are so busy but if you can try and make an oasis in the middle of the day to enjoy your treatment you will get more out of it. Also, take time to choose your acupuncturist. If you have a referral from a satisfied customer that’s great. Otherwise, research online, see who is available and choose the person whom you think is most suitable for you. My advice would also be to select someone who is registered with the British Acupuncture Council (BAcC) as this is a guarantee of a good standard of training. Try to avoid doing really tough work-outs after acupuncture. The treatment should leave you feeling calm and relaxed. Diving into a circuit training or step class can dissipate that calmness. Gentler exercises which make you sweat but don’t raise the heart rate are fine, i.e. yoga, Pilates, Tai Chi and Qi Gong. 3. What and when can I eat? Avoid coming for acupuncture on an empty stomach, especially if this is your first treatment as you don’t know how your body might react to it. If you haven’t eaten you might feel tired, light-headed and depleted after treatment. Ideally, have a meal about 2 hours beforehand. If that’s not possible, eat a banana prior to treatment. Don’t drink coffee or tea for at least 2 hours beforehand. Both are stimulants which raise the heart rate and can stain the tongue, making it more difficult for your acupuncturist to make an accurate diagnosis. The National Centre for Complementary and Integrative Health published a research regarding this. If you are desperate for a cuppa, have a tea which is naturally decaffeinated. Definitely, don’t drink alcohol before treatment and ideally none afterwards. Acupuncture aims to bring more awareness to your body and your thoughts. Having this impaired by alcohol can disrupt and weaken the treatment. Even if you have your treatment in the morning it is best to avoid alcohol for the rest of the day. Your acupuncturist will want to know all about your previous medical history; surgeries, accidents, medication and family health history. Your acupuncturist will have received some training in Western Medicine so make sure you give her all the details. It can save time if you have jotted these down beforehand. Also, it is helpful to bring in a list of your current medication so that your acupuncturist is aware of what other medicines are affecting your body. It is easier if you wear loose clothing. Sometimes you will have to remove your clothes, particularly if your back is being treated. But often you can stay clothed as long as you wear things that roll up above the elbows, the knees and enable access to your belly. If you prefer not to remove your clothes, your acupuncturist will work around that. Ideally turn it off completely, don’t just leave it on vibrate as any calls or messages will still be distracting. Treat this as your time with no interruptions allowed. Does acupuncture hurt? My answer is always that some points are more sensitive than others and some people are more sensitive than others. But it is nothing like pricking your finger on a sewing needle. Acupuncture needles are extremely fine and in many cases, patients are not even aware that they have been needled. What are the risks of acupuncture? Acupuncture in the hands of a well-trained acupuncturist is a very low risk. Occasionally, you may sustain a bruise but it usually goes within a week. 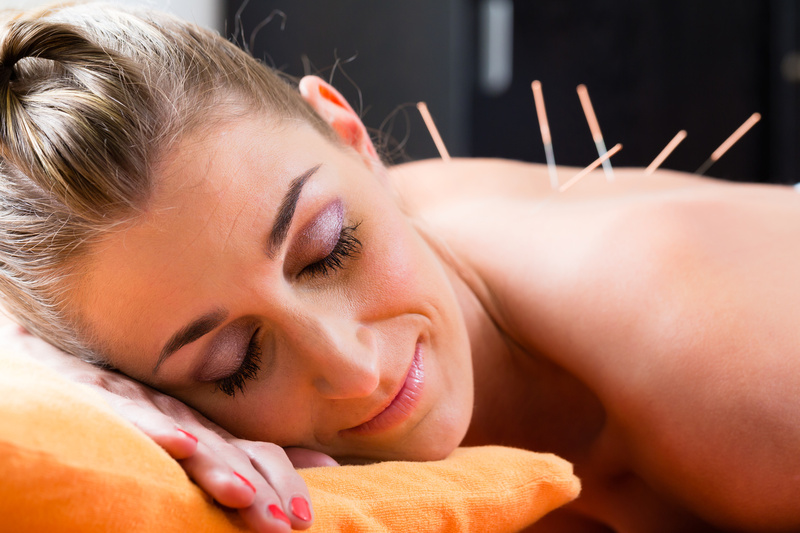 Do I need to feel pinpricks to feel the benefit from acupuncture? The answer is no. Sometimes, the acupuncturist may manipulate the needle and ask you to let her know when you feel a sensation, such as a buzzing, a pulling or a surge. This is usually when she wishes to tonify your body. In this way, she is ensuring that the needle has connected with your Qi. How will I be able to tell if acupuncture is making any difference? A difficult question to answer and it will vary greatly from person to person. Sometimes change is instantaneous, other times it takes longer and progresses quite slowly. I always recommend you try acupuncture for a minimum of 4 treatments. A rule of thumb is one month of regular treatment for every year you have had the complaint. And now you are ready to relax and make the most of your first acupuncture treatment. Enjoy! Please read the Acupuncture Treatment section of my website for information as to what you can expect at your first treatment. 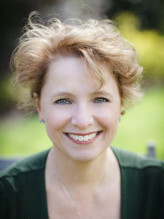 Jackie Graham is a licensed acupuncturist working in Ealing W5 and W13. She is passionate about helping people toward good health. For an appointment email her at info@jackiegrahamacupuncture.com or call her on 07733274745. Preparing for the first acupuncture session can be really just as easy as following the following 8 steps. Check also the Frequently Asked Questions! ← Acupuncture for hay fever: how does it help?